Under the plan, the Loyola Institute, the Irish School of Ecumenics and the Department of Religions and Theology will cease to exist. 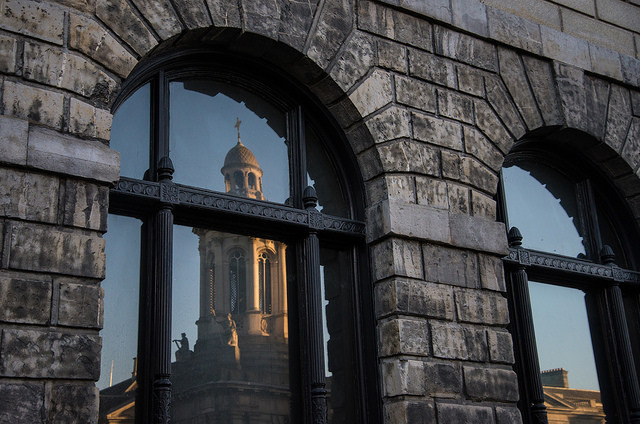 After a complex, protracted process that faced resistance from some of those involved, three “dysfunctional” Trinity schools of religion have merged to become the unified School of Religion. Under the changes to the structure of the confederal schools of religion, a new single-honours undergraduate degree in religion is set to replace other existing courses. The Loyola Institute, the Irish School of Ecumenics and the Department of Religions and Theology will cease to exist from September 2019. The undergraduate course in world religions and theology will also be scrapped in favour of this new degree programme. At a meeting of University Council in April of this year, Vice-Provost Chris Morash outlined the new course structure, which will allow students to pursue a degree either in pure religion or religion alongside another subject. He later confirmed that a new organisational model for the school had been formed and agreement had been reached with regard to the school’s budgeting. The entire school will now report to one Head of School, who will be appointed on a three-year basis. The decision to restructure the schools into one was made after the publication of a review in March 2017 that highlighted the dysfunctional structure of the school. Due to the complex nature of the process, the report was conducted by five people rather than the usual three. The fragmented nature of the Confederal School of Religion meant there were difficulties running the school as a unified entity. This lack of cohesion was largely due to differing financial situations between the three entities, which required different governance systems. The report also noted that the schools often considered themselves in competition with one another. At a meeting of University Council in May 2017, Prof Siobhán Garrigan, the Head of the School of Religions, Peace Studies and Theology, explained that the school had attempted to make alterations but that the changes needed were impossible without intervention, investment and the involvement of external bodies. Morash noted at council that the merging of the schools was met with some resistance from the confederal school, despite being largely welcomed. Speaking to The University Times, Senior Lecturer Kevin Mitchell confirmed that the restructuring process “wasn’t straightforward”. In May 2017, Provost Patrick Prendergast expressed concerns over the allocation of money from trust funds and and philanthropic donations, given the complex legal arrangements in place between the schools and various trusts that partly fund them. Under the recent agreement, the Irish School and Ecumenics and the Loyola Institute will retain budgetary control of finances from philanthropic donors for specific activities. In addition, it was agreed donations associated with religion and theology would be set aside for agreed activities. There will, however, be a single budget for the entire school under the new arrangements. The College has agreed to invest in the school by changing two short-term contracts into permanent ones. The plan is part of the College’s mission to modernise undergraduate education in Trinity and simplify course routes through the Trinity Education Project (TEP), which is being implemented this year.